RSVP now for the rapper's LA headline debut! When Pharrell Williams challenges you to write 16 bars to a beat on the spot, you do it. 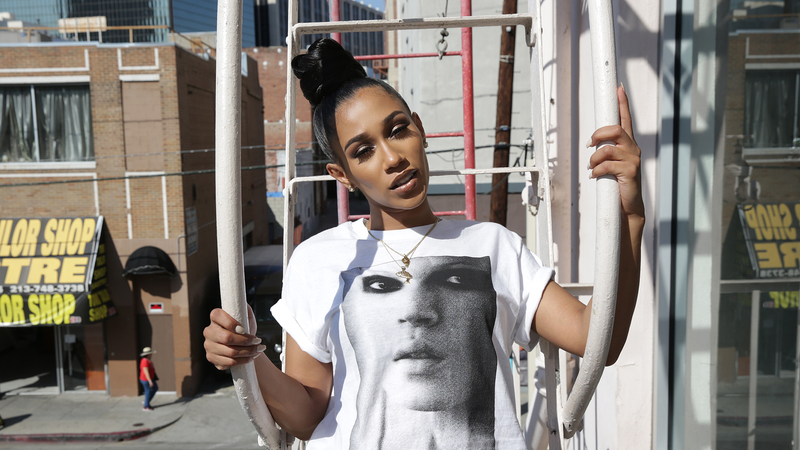 This is one reason Boston rapper Bia has landed where she is today. Although, to attribute her success totally to Pharrell would be unfair, as the musician had already been discovered on YouTube, and her talent alone is enough to propel her into superstardom. 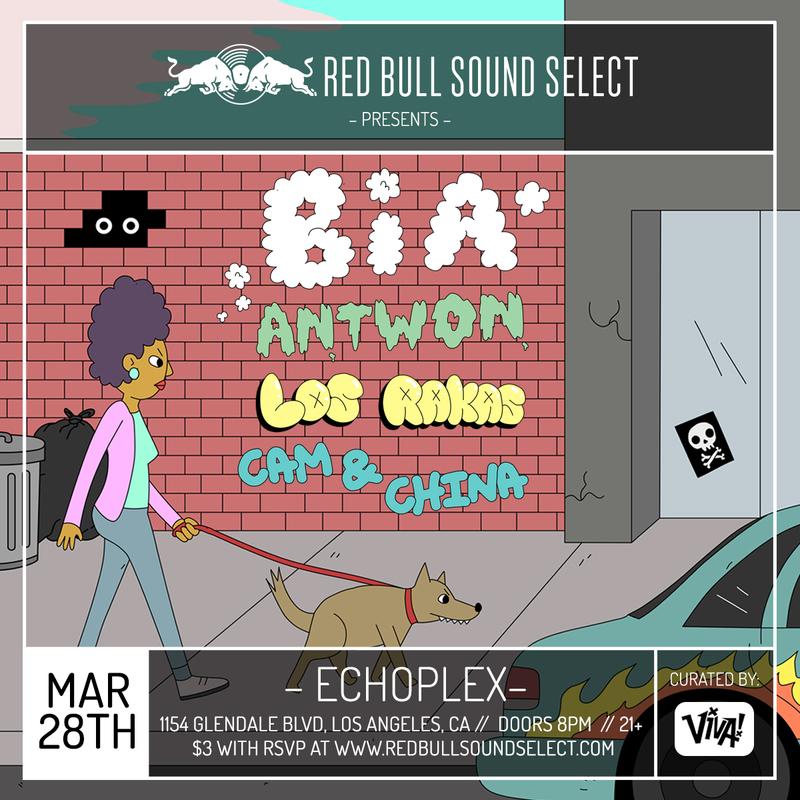 Now, BiA (aka Perico Princess) has been invited to headline Red Bull Sound Select Presents: Los Angeles next week. The event marks the "Gucci Comin' Home" musician's first-ever headlining show in Los Angeles, which is enough for us to celebrate. Sweetening the pot even more, though, the night's curators, Viva! Presents, have also invited San Jose hip-hop artist Antwon, Oakland duo Los Rakas, and hip-hoppers from Inglewood, Cam & China to perform as support. It's all going down Tuesday, March 28 at the Echoplex. This one's for 21+ only, and tickets are just three dollars with advanced RSVP (go here!). Otherwise, scoop up your ten-dollar ticket at the door, and we'll see you there!